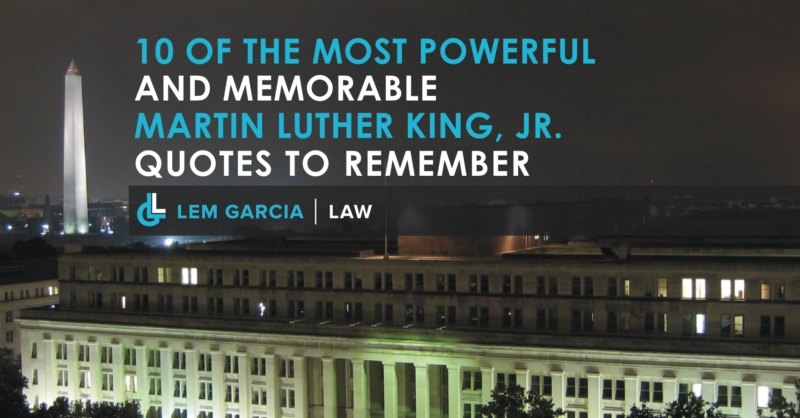 West Covina Attorney, Lem Garcia, Remembers Martin Luther King, Jr. In honor of Martin Luther King, Jr.’s life and work, below is a list of 10 of his most memorable and powerful quotes for us to remember him by. If you’re looking to celebrate Martin Luther King Day, the City of West Covina and the NAACP will be honoring him at the West Covina Civic Center on January 19, 2014 stating at 11:00 am.